Anyone who lived through the belt bag phenomenon of the 80s and 90s knows the trend is temporary, but that doesn’t mean you shouldn’t enjoy the hands-free life while it lasts. Now that we’re staring down festival season and summer travel, the prospect of a bag that won’t get in the way while you’re dancing or museum-hopping is sounding like a solid investment. To help you navigate the many, many options out there, we’ve assembled a shoppable list of the best belt bags at every price point, organized from least to most expensice. See one you love? Click on the photo for more information. It’s important to not take yourself too seriously when wearing a fanny pack, and this classic 90s style in a holographic material is sure to keep you grounded. From a functionality perspective, it has three zippered compartments, so there’s plenty of room for your phone, keys, money, and lip balm. Heading to Electric Daisy or Lightning in a Bottle this year? You won’t be the only one carrying this style. Keep your friends close, your enemies closer, and your phone on your body at all times. This bright white options from Dolls Kill works as both a belt and a sling, and it’s ideal when you want to limit the volume of items you’re carrying. For travel, it’s a chicer alternative to the boring beige travel wallets that travelers have been toting for years—perfectly sized for a phone and passport. 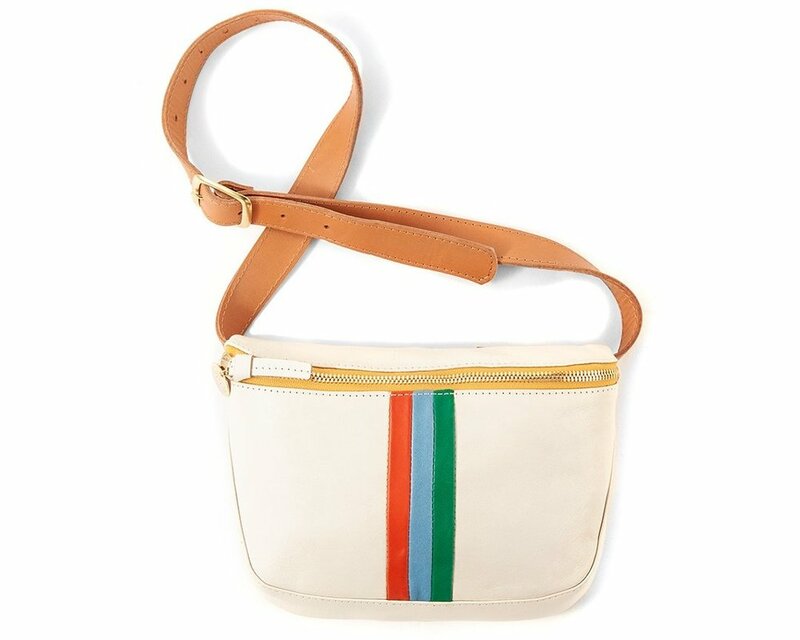 A neutral with pops of color, this belt bag will remain in heavy rotation year round. The rectangular style is just big enough to store the essentials, so you don’t have to worried about getting weighed down. Need it now? It’s available at both the San Francisco Centre and Stonestown Nordstrom outposts. We’ve been crushin’ hard on this Cuyana belt bag style for well over a year, and the new blood orange hue has only renewed our affection for the streamlined piece. It’s well-made, well-priced, and cute as a button. For those of you who love personalization, Cuyana will monogram it for you, too! Minimalist and multifunctional, the Skylar sling comes with two pockets—perfect for hauling your phone and credit cards on a low-key day. Not into green? The style comes in nine colors, so you can match your bag to your mood. With an adjustable back, you can size the strap for both cross-body or waist wear. On the feel-good side, the sling is handmade in San Francisco, and a portion of the purchase price goes back to charities supporting women. The more pouches, the merrier. This three-pocket belt bag, available at Anomie in Cow Hollow, has circular, rectangular, and diamond-shaped compartments that clasp or zip to keep your stuff safe. Made in Spain from vegetable tanned cowhide, and finished with Spanish antique brass hardware. Buy it online or see it in person at 2149 Union Street. If you haven’t seen this bag all over Instagram, you’re not paying attention. Mlouye specializes in delightfully-designed architectural shapes, and the Naomi belt bag packs a one-two punch of color and creativity. 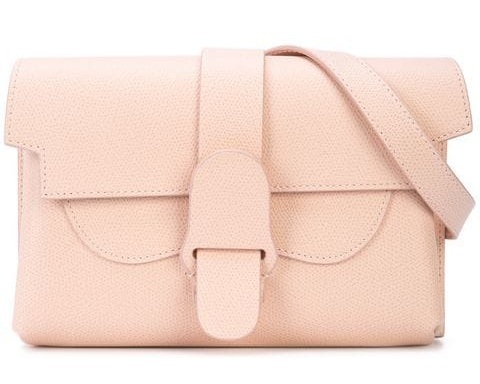 It’s not every day when you score an it-bag for under $300, so scamper to get this one before it sells out. Senreve know that everyone loves a transformer, and has incorporated that shape-shifting option in its Aria belt bag, which can be worn as a belt bag, cross body, or clutch. You may thin of this San Francisco-based brand as a purveyor of workbags, but the Aria proves that Senreve can be a weekend warrior as well. Marc Jacobs had a solid run of it-bags in the early aughts, and now he’s reclaiming his place among the accessories giants with his Snapshot bags. The belt bag version, rendered here in playful polka dots, has two zippered compartments to help you keep track of your things on the go. 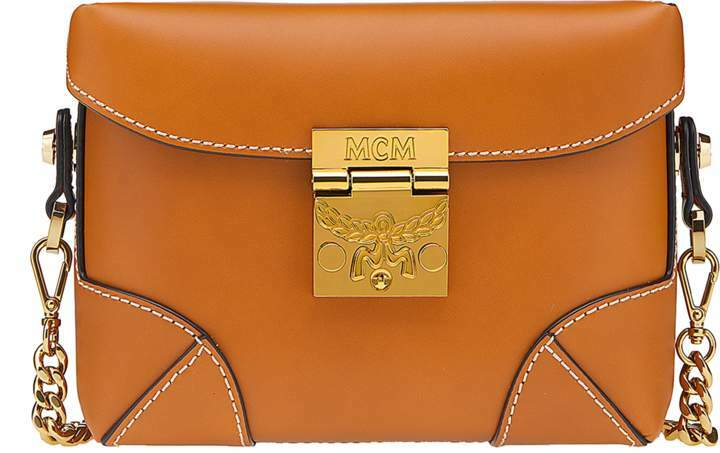 The look of MCM luggage, with two hands-free styling options. 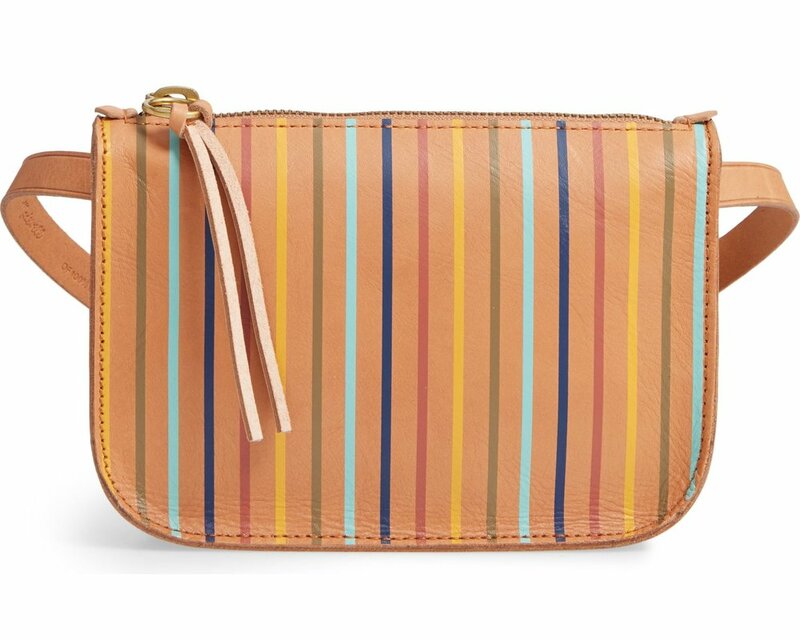 This bag comes with two separate straps, so you can wear it as a crossbody or a fanny pack. The wrapped corners and gold hardware give the style an elevated look. Before you rush to the MCM store in Union Square, (103 Geary Street), this style is currently out of stock in the San Francisco store. 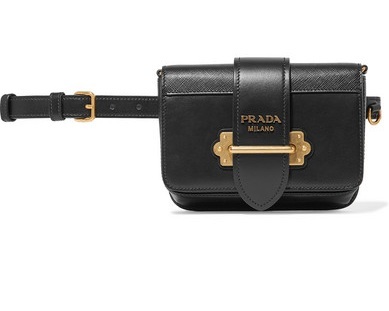 Generally, blowing nearly $2K on a belt bag seems like a questionable idea, but this Prada number is worth considering. The detachable “belt” can easily by fashioned as a shoulder or cross-body strap, or you could use the included chain strap and style it as a handbag. The luxe hardware and Italian-made design are lovely, but it’s the versatility that makes the price tag palatable. 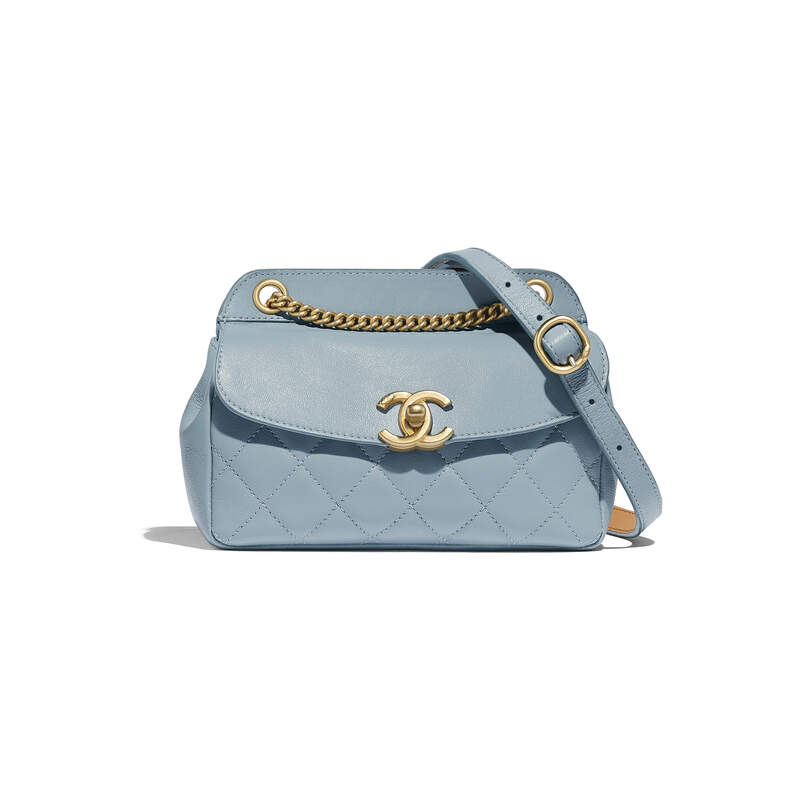 The good news about this gorgeous baby blue Chanel bag is that it costs less than the average one-bedroom apartment in San Francisco. The bad news is it’s still $3000. The convertible style can be worn at your hip or over your shoulder, because when you spend $3000 on a bag, you want to use it for more than a season or two. Remember that Chanel doesn’t sell bags through ecommerce, so you’ll have to visit the Union Square boutique (156 Geary Street) to get yours. This post contains affiliate links. If you make a purchase through one of these links, Rockyt will receive a small referral fee.